It’s no secret that the Scottish Fighting Game Community (FGC) is the strongest esport scene in Scotland. 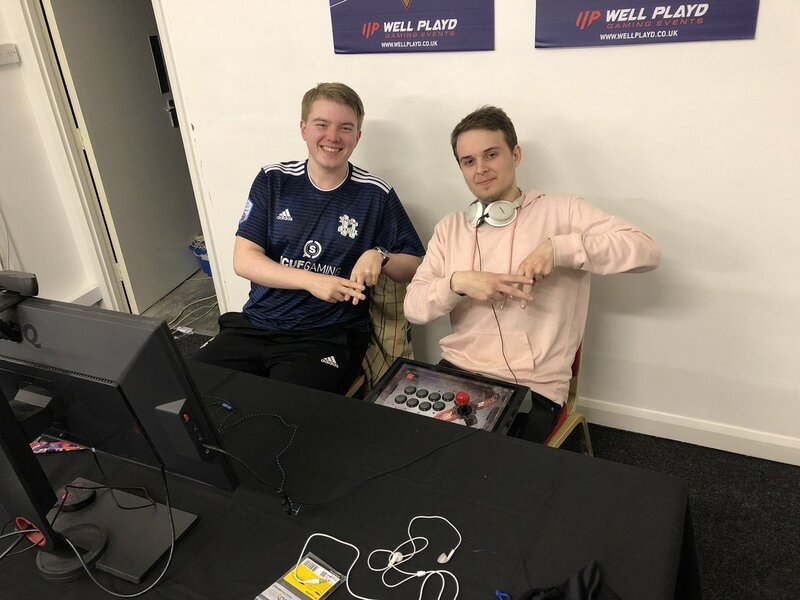 From Smash being the most popular game up here by far to professional players being sponsored in games such as SFV and Mortal Kombat to even massive FGC tournaments such as Hypespotting, the Scottish FGC has it all covered. But who are the players of this scene? Starting from today, we’ll be looking at interviewing them regularly along with other players and members from various Scottish esports scenes. The first player to be interview is Naught who currently plays for Hashtag United Esports. Hello Naught, please introduce yourself. My name is Connor ‘Naught’ McNaughton and I am an active member of the competitive UK Fighting Game Community. When I am not busy with university, I am travelling across the UK entering Street Fighter V tournaments. Tell us about your journey as an esports player. I’ve always been surrounded by fighting games. I was a novice for the longest time and only started to seek offline tournaments when Ultra Street Fighter 4 was released. Early FGC live streams and video content developed my interest further. I started to dedicate a lot of my free time to practising Street Fighter V. Though online ranked matches are convenient, making an effort to regularly compete in local offline tournaments is an invaluable experience. I embrace all types of competitive games and I keep up-to-date with newly released fighting games. Being able to play Street Fighter V on a prestigious platform like Gfinity is surreal. I’m grateful of Hashtag United for allowing me to play against the best of Europe in a high-pressure environment. Having that taste of professional esports gave me a better insight into the esports industry. I’m making a continuous effort to show that I have what it takes to be a high-level fighting game player. I am hoping to venture to other parts of Europe to compete in 2019. What does being part of Scottish FGC mean to you? It’s a safe haven for players like me. A common consensus between individuals is important in maintaining a community. The Scottish FGC allows for players to meet up at local venues and develop personal social bonds. These opportunities would be highly unlikely to be encountered in a busy everyday life. What do you think of the current state of Scottish FGC especially SFV? Do you see the scene growing? Unfortunately, there was a period of time where the SFV scene stagnated and declined in popularity. Now with the resurgence of the Glasgow and Edinburgh scenes, SFV is alive as ever. The ever-active Aberdeen scene should be considered the prime example for aspiring Scottish scenes. The inclusive attitudes, consistent events and professional venue allows every kind of player to enjoy themselves and feel comfortable. Whenever there is fierce competition, the Scottish scenes will grow. What is your most memorable moment as an esports player? It would have to be making Playoffs for Hashtag United in Gfinity. Playing alongside my friend and fellow Scotsman Jack (DarkMoonHado) was symbolically meaningful. Both of us started competing at the same time and have been friendly rivals for a while. I wouldn’t have my debut Gfinity season any other way. What advice would you give to players looking to get involved in the FGC? If you have any interest in any fighting game, please seek out your local FGCs and attend them. You start to appreciate the community aspects as much as the games you play. Thank you for taking the time to talk with us Naught. We wish you all the best for the future! Do you have any final words or shoutouts you’d like to give? Shoutouts to all my fellow Scottish players for always playing GGs! Special shoutout to my local scene Reset Aberdeen! Thanks to Hashtag United Esports for all the opportunities they have given me. Roll on 2019!